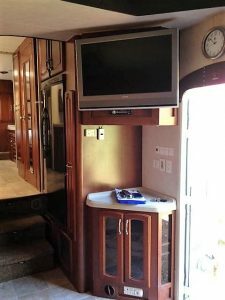 The 40′ Weekend Warrior is the largest most luxurious model trailers we have available and includes two separate slide outs. 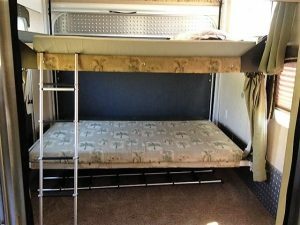 This classic model can accommodate up to 8 adults sleeping with four queen beds inside. 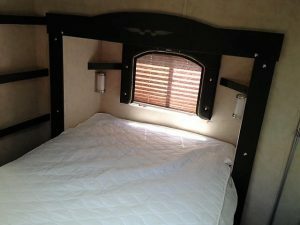 There are double Queen beds in the rear separate bedroom, a loft Queen Bed in the living room, and a separate bedroom in the front with a Queen bed. 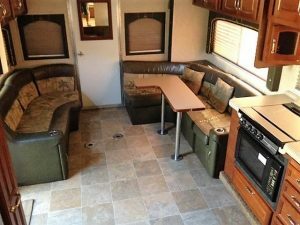 Enjoy the lounge/living room area that has a U-shaped couch seating with a table for eating. 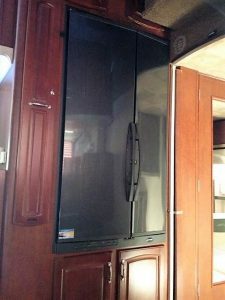 Included in the living room area is a 32′ flat screen TV/DVD. 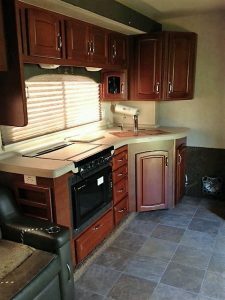 The kitchen includes a Double Door Refrigerator, Double Kitchen sink, a 3-burner range and a convectional microwave. 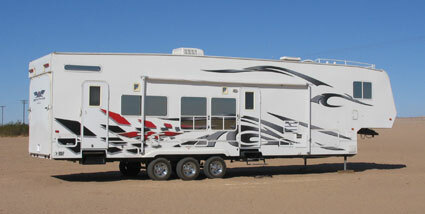 As you move to the front of the trailer you will find the bathroom with a Walk-in shower, and private toilet area. 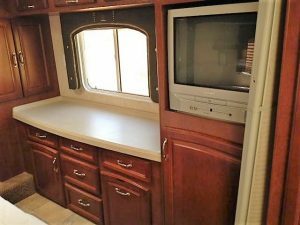 Continue your steps through to the front private Queen bedroom that has a Vanity, Wardrobe with sliding doors, 14′ TV/DVD and much more!! 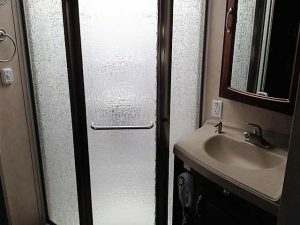 The spacious bathroom includes a porcelain toilet, glass shower enclosure, and vanity area. A corner kitchen design makes for lots of room and plenty of counter space.